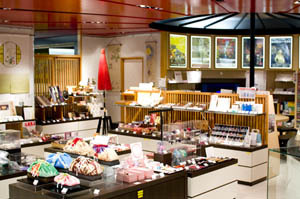 Unlike most antenna shops, this one devotes almost all its space to crafts, with only a tiny section for local food and drink products. 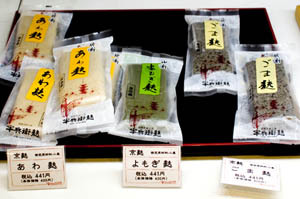 These include some two dozen types of sake, packaged candies and sweets, vinegar, miso, pickles and fu (wheat gluten). 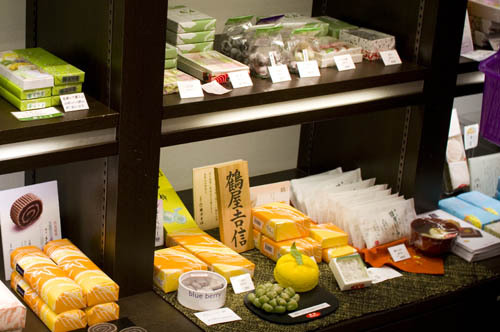 They also offer a "tea ceremony experience course" under the guidance of a professional instructor; the experience takes twenty minutes and costs Y500. Chuo-ku, Yaesu 2-1-1, Yanma Tokyo Bldg 1F.